You are here: Home / Celebrity Photos / Zac Efron and More On Set Of ‘Dirty Grandpa!’–Photos! 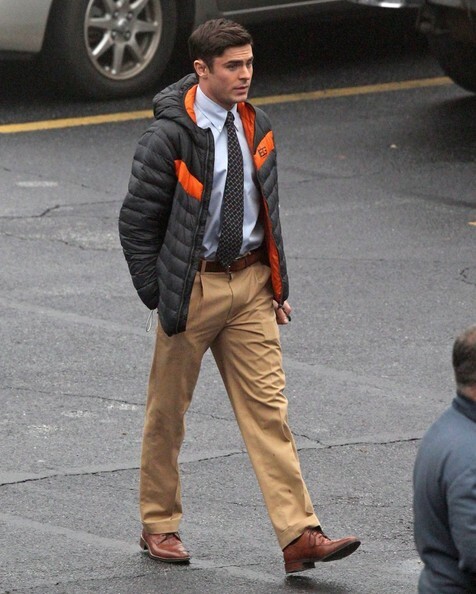 Zac Efron and More On Set Of ‘Dirty Grandpa!’–Photos! Filming a funeral scene in Atlanta, Georgia, the cast of upcoming movie ‘Dirty Grandpa’ was photographed walking to and from the basecamp in a church. Zac Efron, Julianne Hough, Robert De Niro, and Dumont Mulroney were bundled up from the cool weather conditions Atlanta is experiencing right now. Check out the pictures below of the cast! « Kendall Jenner Spotted After A Hard Workout, Still Flawless!